"Honest" is a loaded term to apply to music. The tag gets thrown around often, suggesting a distrust of modern genres and their studio sheen. However, as reductive as that thinking can be, a certain quality inherent to bluegrass indeed feels, if not more honest than other music, more intrinsic. Bluegrass is steel strings on wood and the percussive hit of the picking hand. It's the music of forests and rivers and dirt roads bending up a mountainside. From the "father of bluegrass," Bill Monroe, to any number of subsequent revivals and reimaginings over the years, bluegrass had endured. 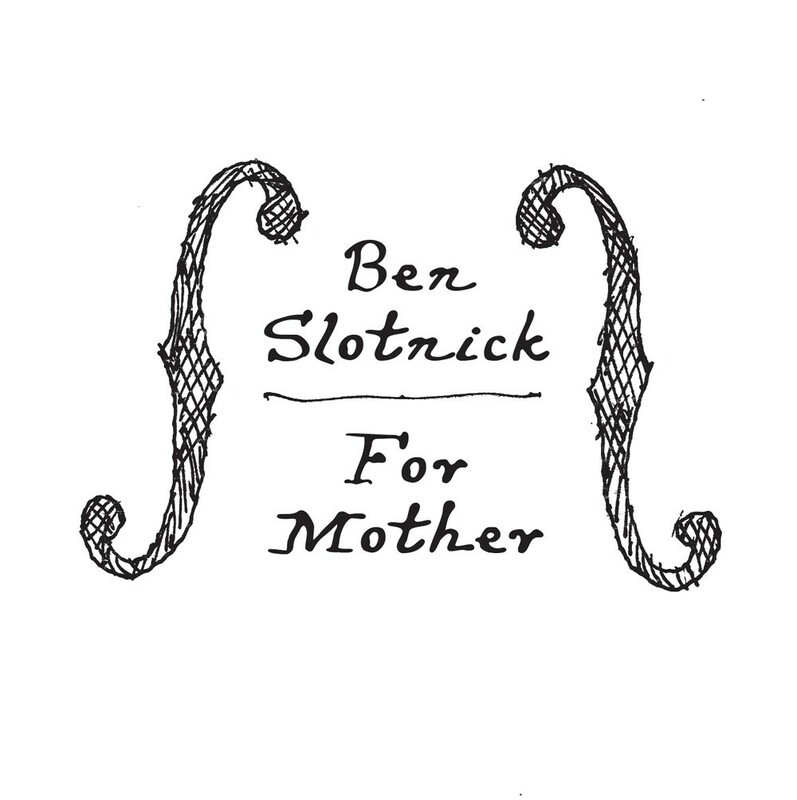 That legacy is well represented on Ben Slotnick's new record, For Mother. Originally from the New York City area, he played with Brooklyn bluegrass outfit the Dang-It Bobbys. Now relocated to Vermont, Slotnick has firmly established himself in the local scene. The record, a collection of originals and standards, is for the most part a stripped-down showcase of Slotnick's accomplished and distinctive chops on mandolin and guitar. He opens on the traditional tune "Chinquapin Hunting," letting loose cascading notes on the mandolin to conjure images of turn-of-the-century America. "Temperance Reel" and "Shady Grove" achieve the same aesthetic, as Slotnick's arrangements never stray from the spirit of the music. You can hear the history he has studied in his playing. Eras are more mixed with his original material. "My Lady Loves Me Too" is an update to the genre; Slotnick plays traditional country-folk as he sings about getting through Burlington winters in the most modern of ways: the ol' "Netflix and chill." The song's idiosyncratic charm works but is far from the high point of his compositions. The strongest tracks on the album are both penned by Slotnick. "Heart Butte" is an instrumental with a chord progression so lovely you'll wish he chose to sing over it. But the lack of vocals frees up his mandolin to coat the song in bursts of color. Slotnick follows it up with "The Darkness," a beautiful minor-key jam in which he sings about "sepia-toned memories and chrome-colored dreams." Slotnick's voice bears hints of his influences, but with a distinctive timbre. As with the guitars and mandolins on the record, the production adds little to his vocals — they're presented simply, front and center for the listener. For Mother is a strong debut LP from Slotnick. It exudes a healthy understanding of bluegrass and folk history and establishes him as a new voice for an old genre. Backed by his trio, Slotnick releases For Mother on Friday, January 13, at Nectar's in Burlington. The Tenderbellies and Kelly Ravin open.